British conductor and accompanist Christopher Willis is on the music staff of The Royal Opera. He has conducted Le nozze di Figaro, Elektra, Simon Boccanegra, Don Giovanni, Rigoletto, The Tsarina’s Slippers, Don Giovanni, Eugene Onegin, Paul Bunyan, La traviata, Semiramide and Carmen for The Royal Opera, in addition to his work as a répétiteur with the Company. In the 2018/19 Season he conducts The Queen of Spades and Carmen for The Royal Opera. Willis was born in London and studied violin and piano at the Royal Academy of London with David Martin, Sidney Harrison and Rex Stephens. He joined the music staff of Glyndebourne Festival in 1978 before joining The Royal Opera in 1985. With both Glyndebourne and The Royal Opera Willis has been closely involved in the creation of new works with such composers as Adès, Berio, Birtwistle, Goehr, Knussen, Osborne and Tippett. He also gave several first performances for the Royal Opera House’s chamber opera company The Garden Venture. 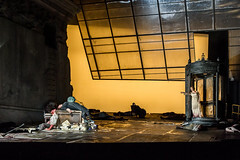 Engagements away from the Royal Opera House include Musical Director for City of Birmingham Touring Opera’s production of Smetana’s The Two Widows, for which he created a chamber reduction of the score for piano and string quartet. Assistant Conductor replaces Andris Nelsons who has withdrawn due to strong viral flu. 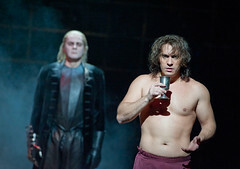 Follows previous engagements with The Royal Opera including Rigoletto and Eugene Onegin.